You will love this pattern! It’s an old classic granny square with a modern design. 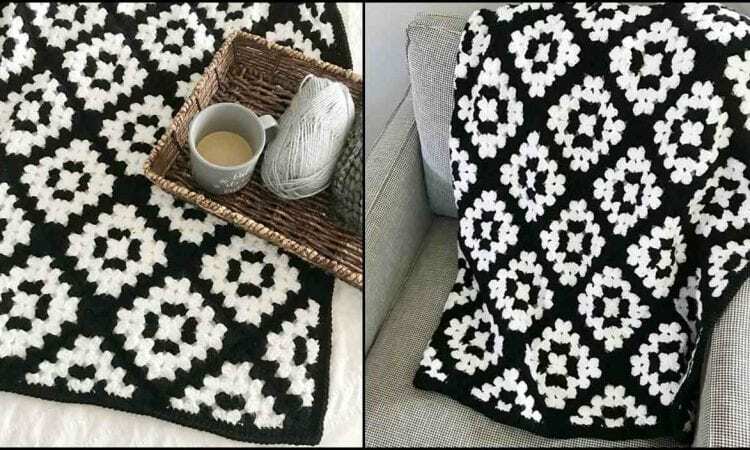 In this pattern you will find a detailed tutorial, so it will be easy to follow, and a good tutorial for beginners as well. The blanket works up very quickly, so it will be rewarding and fun to make. The link to the pattern is at the end of the post. For more free designs every day follow us on Facebook. Share your ideas and your work on our Facebook group! The Mabel Blanket – visit the free pattern site.